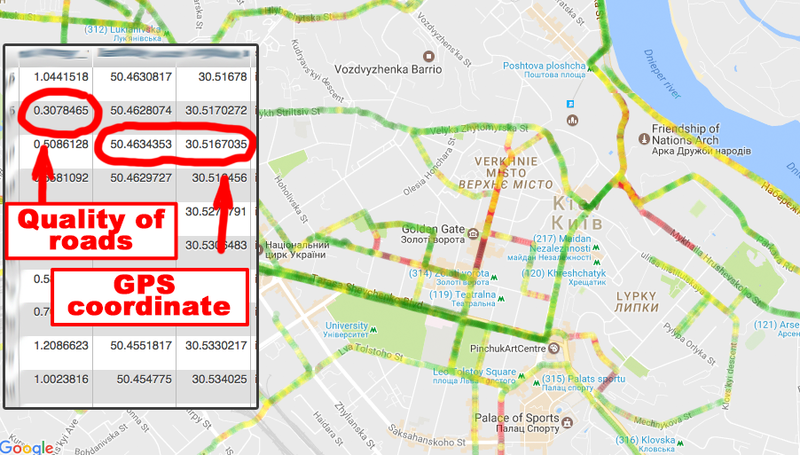 For municipalities are available IMPERSONALLY road quality data (coordinates and road quality index in this coordinate) that were collected by users. – Analysis of quality roads by our capacity – 10 US dollars / (1km lane road). We provide a paid service for the analysis of the quality of the road surface for municipalities by means of trailer “Explorer”. The cost of the service is 10 U.S. dollars / 1 km (one lane of the road). The client determines the road segment, which is a etalon-quality, the length of the section must be at least 500 m along one strip. We analyze this section and calibrate the equipment. We perform the analysis according to the client-defined route. Si le gusta nuestra aplicación, por favor, apóyenos.